A mother with child on a bike. 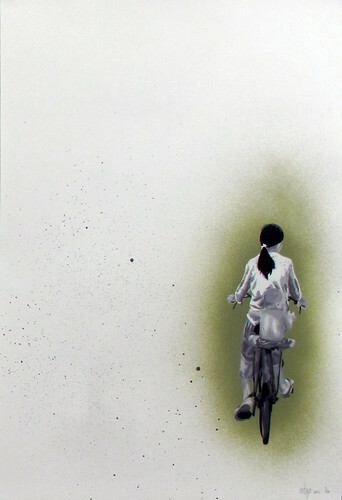 This hand stenciled and spray painted, limited edition poster is on sale and shipping now from Amazon.com. More about the art.